As the Bureau of Labor Statistics 1 notes, many companies prefer to hire welders who have graduated from a training and certification program as opposed to those who have no experience. What is more, trade school acts as a support network for students while they are learning, so that there are plenty of resources available along the way. No student will be left to flounder. Here are just four additional benefits, on top of quality welding classes, that students receive from Tulsa Welding School—so take advantage of them while you can! When choosing a welding path, it can be hard to know which to pursue. Some welders opt to obtain general training and work for a manufacturing plant or as freelancers. Others, however, may find that a specialized welding field (i.e. gas tungsten arc welding (GTAW)) is more in line with their career goals. There are a number of industries and specialties to choose from. Thankfully, many welding schools, including TWS, offer career services to aid in goal-setting and career planning. Career services use a variety of methods to help students assess their talents, dreams and career plans, thus enabling students to make wise study decisions. Career services can also help welding students obtain scholarships and/or other forms of financial aid. Once a welding student has chosen a particular line of work that he or she is interested in, a career service representative can help a student prepare a resume and/or get ready for a job interview. Welding schools aim to make it as easy as possible for students to learn welding. Some schools offer student housing, pairing eligible students with a roommate and/or even helping students obtain the funds needed to pay for rent while attending welding school. In other cases, a welding school may make modifications to its welding shop in order to enable physically disable students to study welding. Additionally, some schools offer part-time job assistance to help students pay for the cost of living while in school, as well as local area information for students transitioning from out of the region. While parts of certain welding courses can be taken online, welding schools always provide students with plenty of hands-on training and practice. What is more, this practice time is supervised by a trained, experienced professional who can ensure student safety and help students understand their mistakes and improve their skills. This allows students to hone their skills and receive tutelage from experienced professionals before entering the workforce. It is a time to ask questions in a supportive environment and grow as a welder. Studying at a welding school enables a student to learn a variety of welding techniques, which may not be the case when receiving training from an apprenticeship or a company; these scenarios might involve training on specific equipment for a specific task. The various types of welding to explore at a trade school include not only common forms of welding such as stick welding, TIG welding and MIG welding, but also less common forms of welding that are used in specialized fields such as airplane manufacturing and the bicycle industry. 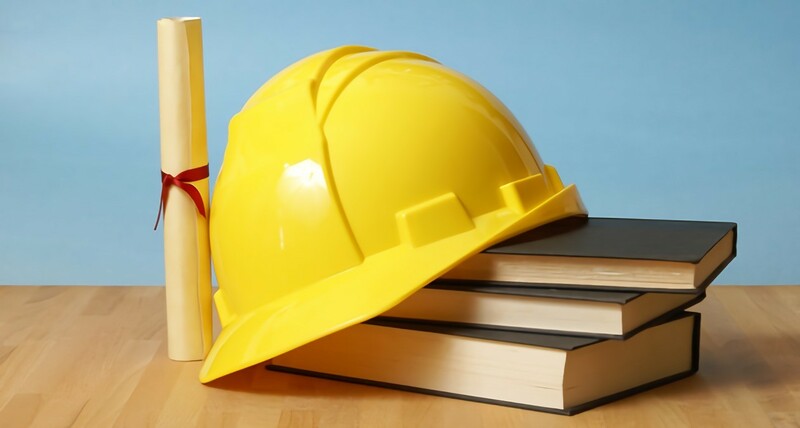 What is more, welding schools offer helpful related courses such as blueprint reading, mechanical drawing, computer knowledge, electricity and metallurgy. Additionally, welding schools offer many types of professional equipment that a single company would not have available for use. This enables students to learn to work with a wide range of equipment. Welding is a field with much to offer. The average welder earns 2 over $17 an hour and welders often find employment in this field without having to spend a lot of time and money earning a college or university degree. Welding certification programs are often less time-intensive than university degree programs, and students can sometimes complete welder training in as little as 7 months. Though technical school programs are relatively short in comparison to bachelor or masters degree courses, they do provide a good foundation in basic subjects. At Tulsa Welding School, students who want to increase their education and experience level also have the option of earning an associate degree in welding technology. Overall, welding training programs offer more than just welding classes; they also provide resources such as career advising, learning support services, hands-on training opportunities, and the opportunity to explore a wide variety of skillsets in the welding field. So don’t forget to take advantage of all the resources available to you while in trade school!